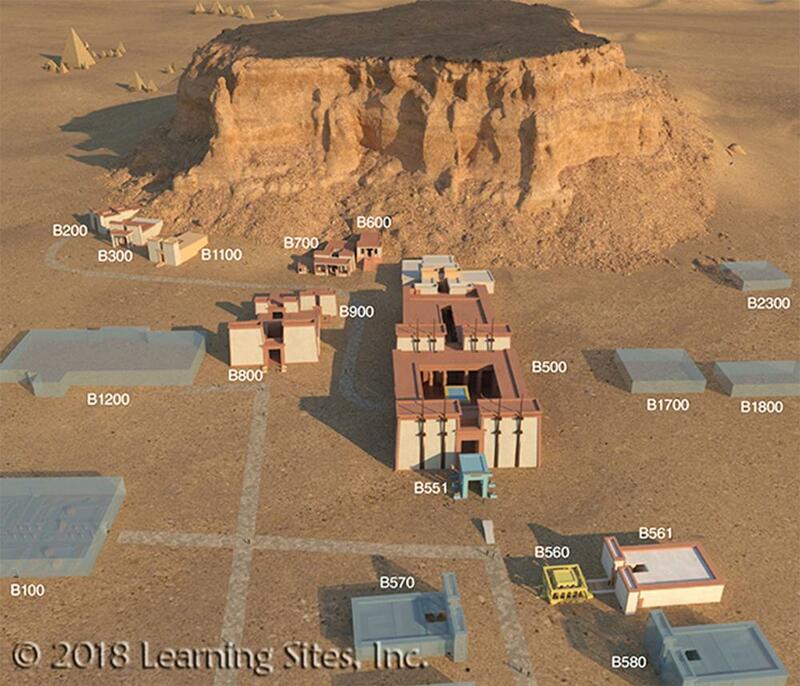 0 A.D. Lan Tutorial.pdf Try this one, it's pretty easy. This is important for future releases, but not for the upcoming? It needs D11 to go in. Maybe A24 if @wraitii feels like it, but he is working on something more important ATM. Earlier in this thread there were all you needed to get the sounds correctly. Then you need to mimic the good accent and record that with a decent microphone. Then people like Sundiata need to review it. Then it's done in DE (as the default atlas texture suggests :P) Still needs to be committed to vanilla. Right, just saying I merely stole the shields from the Xiongnu. You can commit the files from Terra Magna to public and use those. Unit actors. You just need to commit the shields from TM. Thanks ! On my list. @Sundiata, @LordGood, @wowgetoffyourcellphone, @stanislas69, @elexis, @wackyserious and all contributors to this achievement: Men and lads I'm proud of what you've done, seriously. I updated the Wikipedia (FR) and Mediawiki pages accordingly. Beautiful cutaway of the Great Amun Temple, Gebel Barkal, Napata. The Two Pylons (monumental gateways to the successive inner section of the temple) on the far right, were originally built by Ancient Egyptian pharaohs like Ramesses II and Tutankhamun. The 2 massive pylons and outer courtyards on the left were later additions, by pharaoh Piye of the 25th Dynasty. 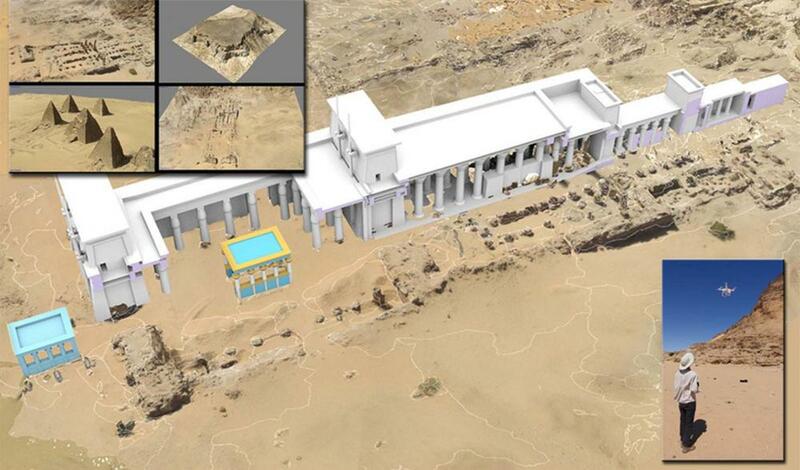 The inner and the outer kiosks were added in the Meroitic period by Queen Amanitore, King Natakamani and possibly Queen Amanishakheto, after a full restoration of the ancient temple after the Roman sack of the site. Almost all of the temples at Jebel Barkal were restored and rebuilt several times over the course of Kushite history. 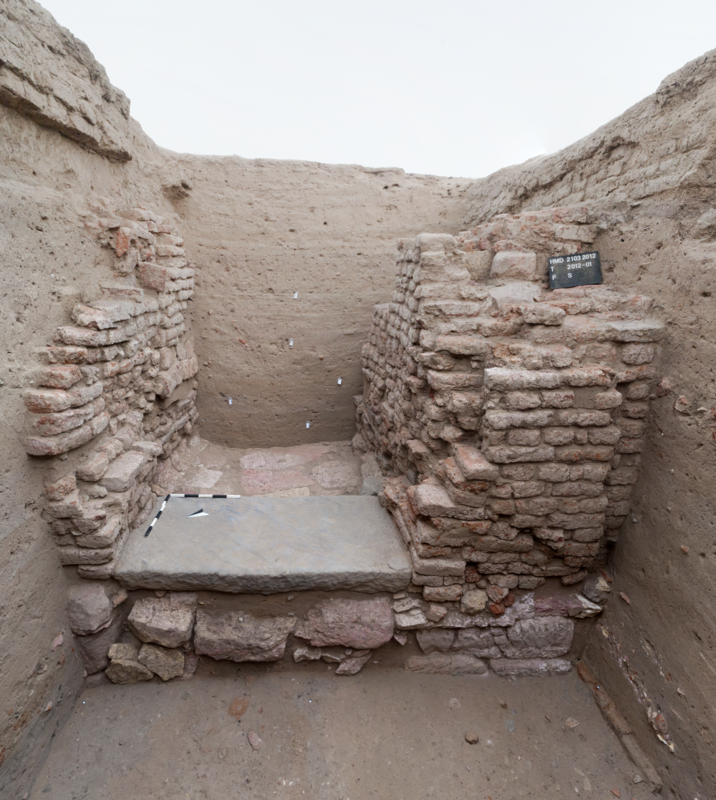 The remains of a massive Napatan "treasury" at Sanam. I shared an image of a beautiful reconstruction of another excavated treasury at Sanam before, not realizing it was only one of a few. The Treasury SA.C 400, pictured below was absolutely huge, measuring approximately 267 m long by 68 m wide. 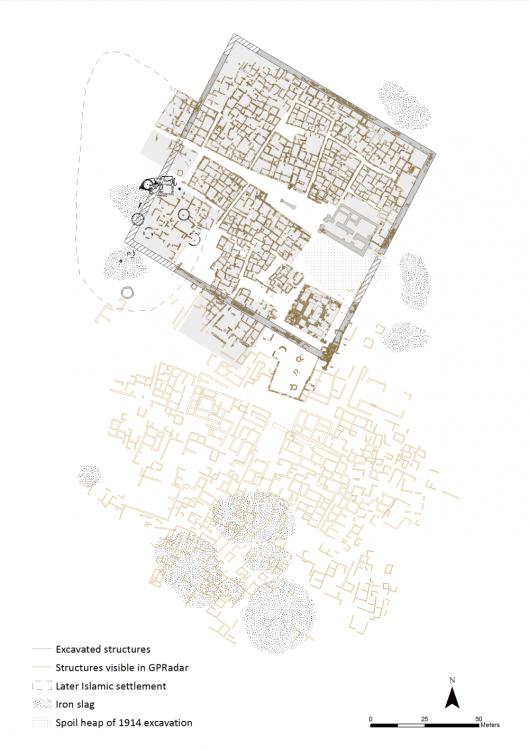 Finds of gold, ivory, copper alloy, faience, carnelian precious stones, alabastron, pottery and cowry shells illustrate that this was no simple storehouse. Central temple of Hamadab (original location of the Hamadab stelae). The rooms on the left side of this structure were later additions, resulting in this awkward non-symetrical temple (which is somewhat rare). 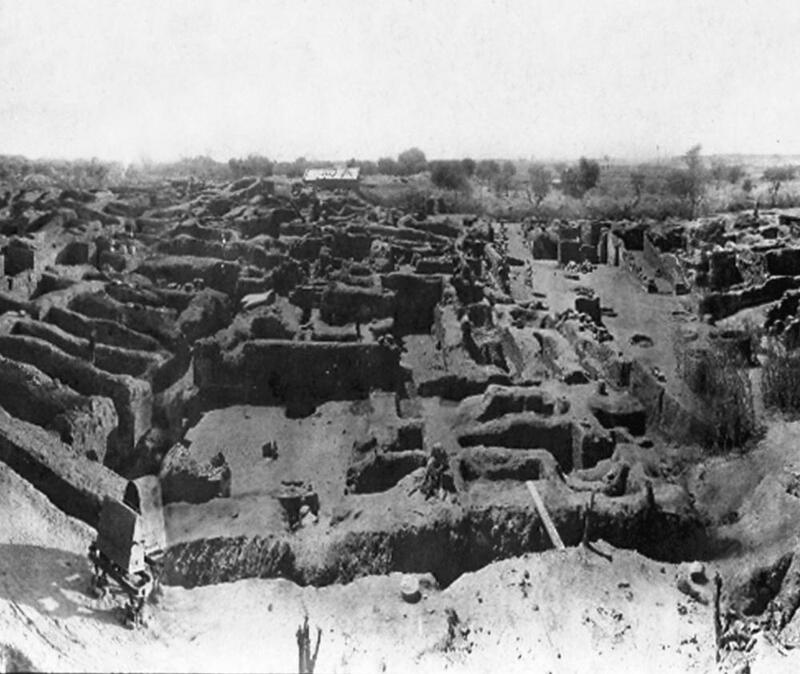 A rare image of the large scale excavations at the Royal City in Meroë, 1910's. This entire site is currently buried by sand, and only small scale excavations take place today..
Egypt, Thebes, 25th Dynasty Opet Festival at Karnak (modern day Luxor). 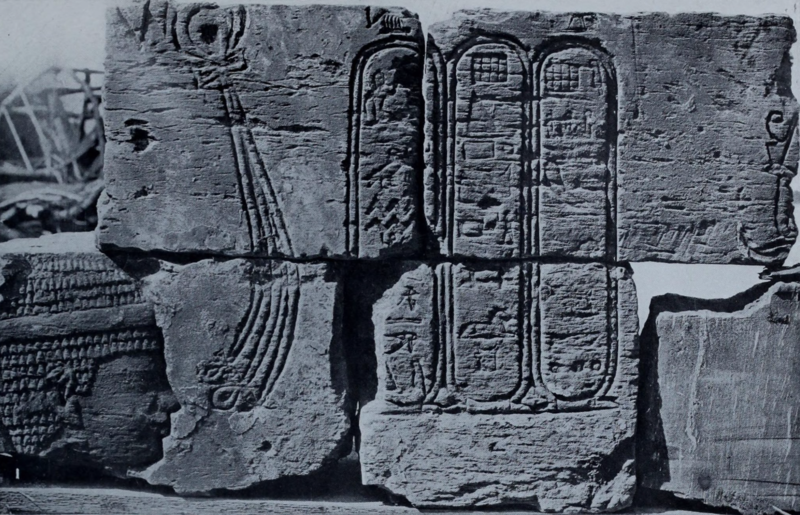 Together with the New Year's festivities at Gebel Barkal, Napata, the Opet Festival in Karnak were the most important religious ceremonies of the Egyptian and Kushite Empires alike, and helps explain the Kushite obsession with retaining some authority in Thebes long after their expulsion by the Assyrians. The massive kiosk in front of the main temple was built by Taharqa, and is known as the Kiosk of Taharqa, with a single column still standing today (the Column of Taharqa). 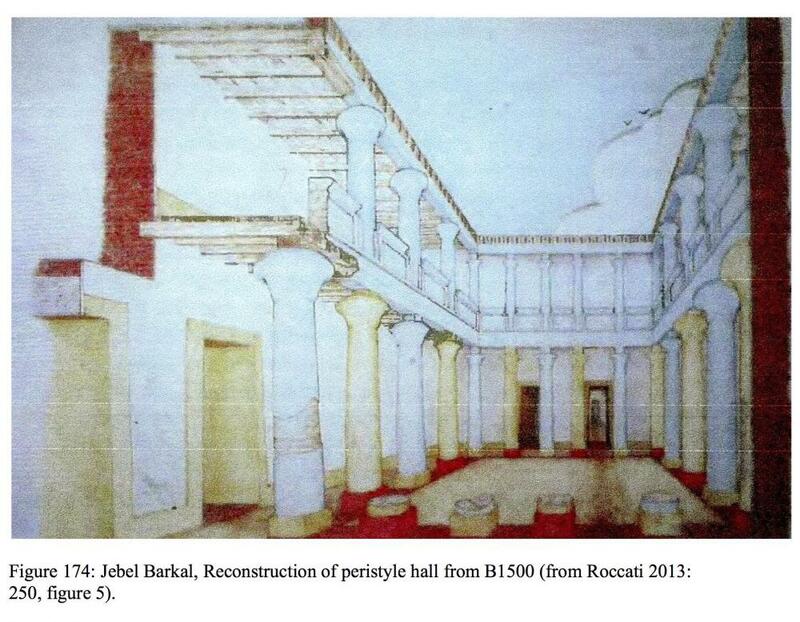 Hi Sundiata, would you mind sharing the title of the book or article you got the reconstruction of the peristyle hall from? 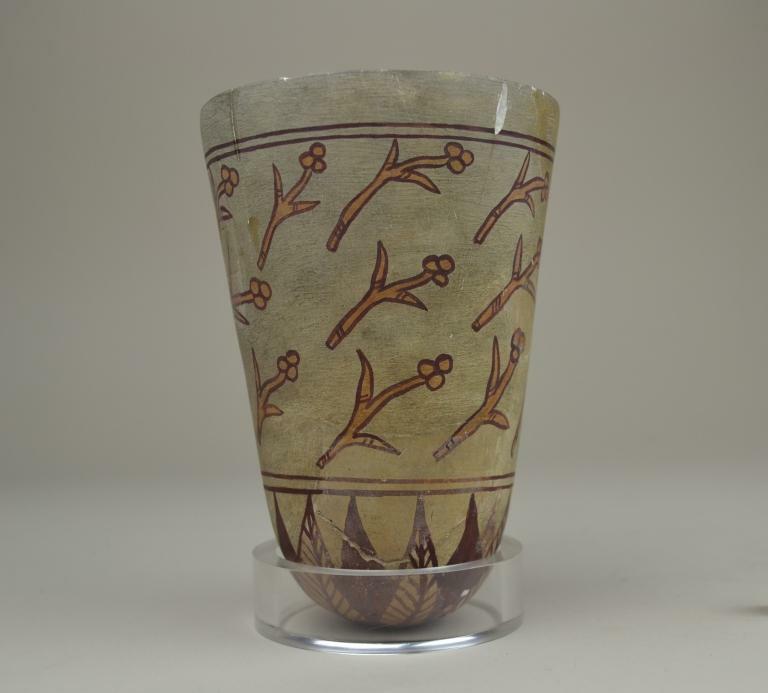 Sarah Schellinger is a PhD candidate in the Department of Near and Middle Eastern Civilizations at the University of Toronto. She completed her B.A. at The Ohio State University in Anthropology in 2005. She then completed an M.A. in Art History with a concentration in Egyptian Art and Archaeology at the University of Memphis. Her M.A. thesis entitled "Two Royal Shabtis of the Twenty-fifth Dynasty and the Napatan Period in the Collection of the Institute of Egyptian Art and Archaeology at the University of Memphis (1981.1.39 and 1981.1.41)". She then completed a second M.A. in the Department of Near and Middle Eastern Civilizations at the University of Toronto in Egyptology. 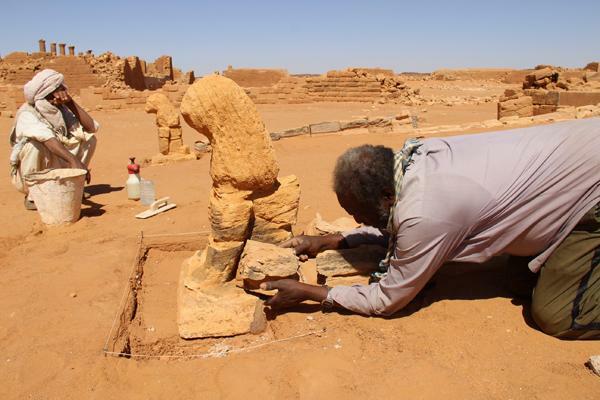 Her doctoral research focuses on palatial architecture dating to the Napatan and Meroitic Periods in Nubia (ancient Sudan) and how the palaces function in the political and religious landscapes. In addition to her studies, Sarah also held a research associate position at the Museum of Fine Arts, Boston. I haven't come across the original source of that particular image though (Roccati 2013: 250, figure 5), but Alessandro Roccati is widely quoted by experts in the field. Purtroppo spesso sento dire che gli africani non si sono mai sviluppati economicamente e culturalmente, che sono sempre rimasti ai tempi dei raccoglitori-cacciatori e che il motivo di questa arretratezza vada ricercato in qualche caratteristica genetica inferiore. Il regno di Kush dimostra in modo inequivocabile che ciò non è vero! I Kushiti furono una grande civiltà che riuscì addirittura a conquistare Memphis, sottomettendo gli egizi per tre quarti di secolo. Come se non bastasse, la gran parte delle prime civiltà antiche erano formate da uomini che è difficile definire “bianchi”. Visto che abitavano la regione della Nubia, spesso vengono chiamati nubiani, ma ciò è impreciso perché non evidenzia la loro vera origine. 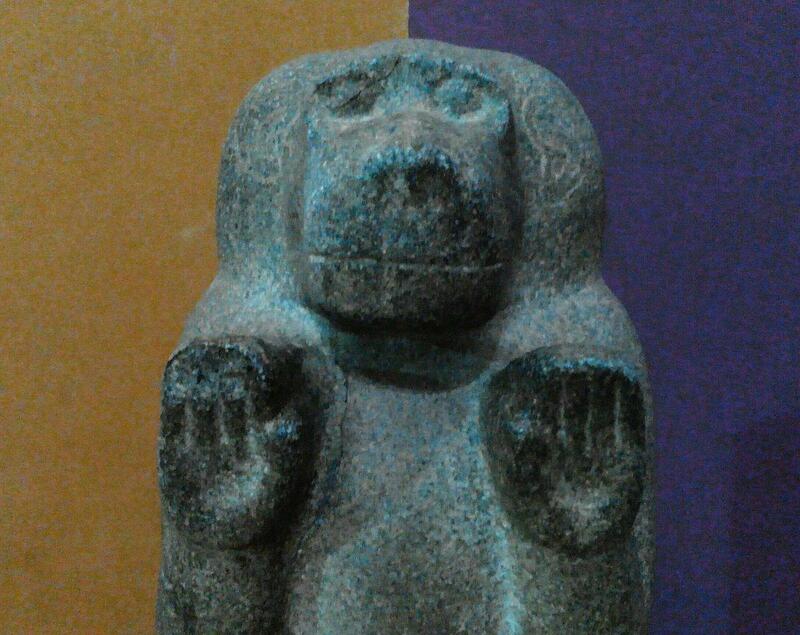 Il bello di questa civiltà è che è rimasta nascosta e oscurata nei musei in tutto il mondo, finché, a partire dagli anni 70 del secolo scorso, sono stati progressivamente riscoperti. Il motivo di questo tentativo di cancellare o revisionare una pagina della storia pone le basi sul razzismo. Semplicemente era inconcepibile che dei neri avessero costruito piramidi e monumenti che non avevano nulla da invidiare da quelli egizi. Oggi, per fortuna, sembra esserci una forte volontà di rimuovere questi pregiudizi dall’archeologia. L’archeologia, ricordiamolo, è una vera e propria scienza che non ha spazio per opinioni, ne tanto meno di pregiudizi. “La Storia”, invece è una favola che ci raccontano, può essere vera, falsa, accurata, distorta… in sostanza raccontare “La Storia” senza corredarla con i reperti e le fonti è da ritenere pura propaganda! In questo caso nelle scuole viene fornita una visione parziale, troppo incentrata sugli europei e sull’Italia, magnificando alcune culture a discapito di altre. I kushiti, ancora oggi, restano un popolo enigmatico, visto che i la loro scrittura, basata sui geroglifici egizi, non è ancora comprensibile al 100%. Una parte del motivo per cui si poco di questo popolo va attribuita ad un nostro connazionale, Giuseppe Ferlini, un cacciatore di tesori che tra il 1834 ed il 1836, distrusse ben 40 piramidi, depredandole da tutto l’oro che contenevano. Ovviamente anche altri eventi storici antichi hanno contribuito al degradamento e alla distruzione di importanti reperti storici. L’evento più devastante fu sicuramente la conquista da parte degli aksumiti. Le città più importanti del regno di Kush furono Kerma, Napata e Meroë. 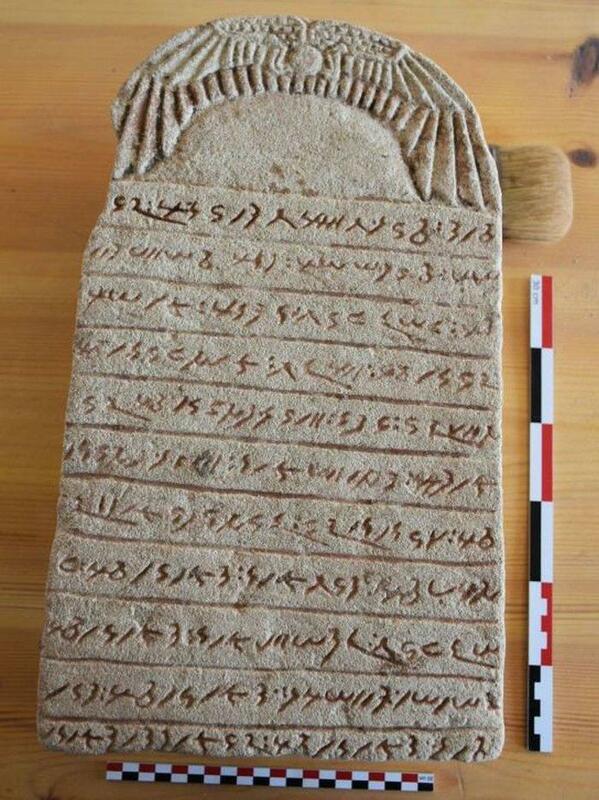 Ognuna di queste città è stata capitale del Regno di Kush per un periodo. Ad esempio durante il dominio egizio, a Jebel Barkal, vicino Napata, si tenevano le più importanti cerimonie faraoniche egiziane. Napata, invece, fu un centro di potere che si affermò durante il collasso del nuovo regno egizio. Nel 591 a.C. gli egiziani invasero Napata che perse importanza rispetto a Meroë. 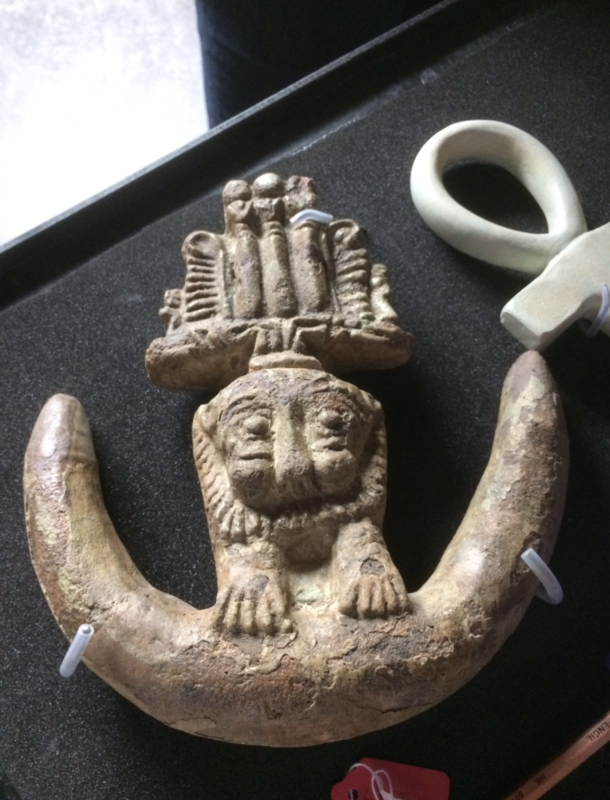 Visto il contatto culturale tra egizi e kushiti, spesso gli artefatti kushiti vengono esposti in mostre e musei egiziani, nonostante fossero due regni ben distinti. Sarebbe come confondere greci e romani! 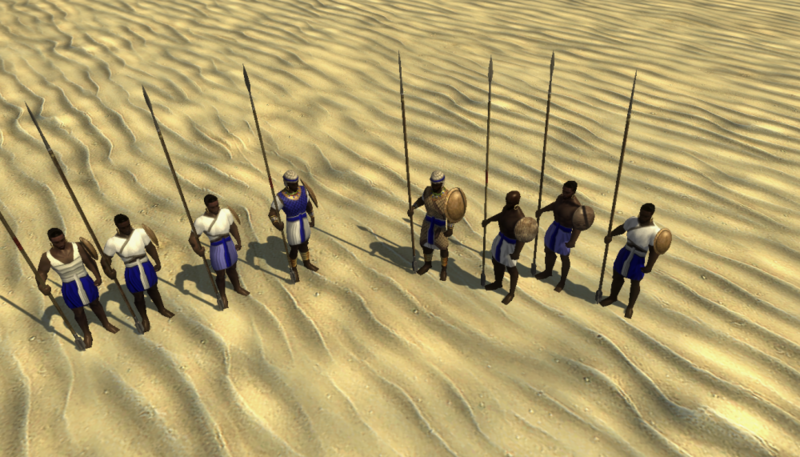 On 17 May 2018 0 A.D. Alpha 23 was released. In the new version, among other things, a new civilization has been introduced: the Kushites. I had never heard of them, so curiosity brought me to a page in the 0 AD forum where the kingdom of Kush is extensively analyzed and presented. 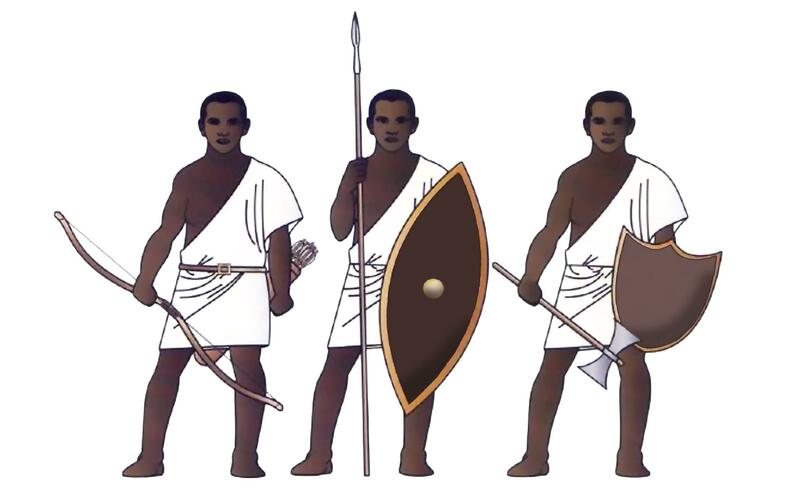 Unfortunately, I often hear people say that Africans have never developed economically and culturally, that they have always remained in the days of hunter-gatherers and that the reason for this backwardness has to be found in some inferior genetic traits. The kingdom of Kush shows unequivocally that this is not true! The Kushites were a great civilization that even managed to conquer Memphis, subjugating the Egyptians for three quarters of a century. As if that were not enough, most of the early ancient civilizations were made up of men who are hard to call "white". 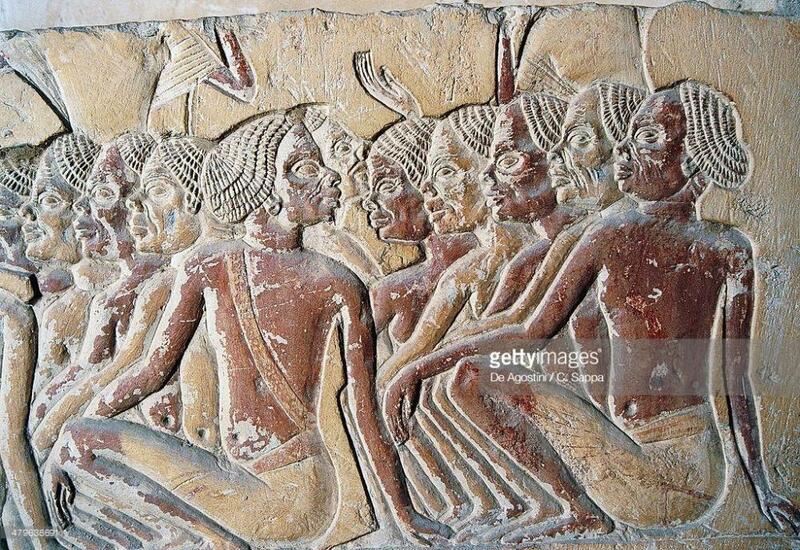 Since they lived in the Nubian region, they are often called Nubians, but this is inaccurate because it does not highlight their true origin. The beauty of this civilization is that it has remained hidden and obscured in museums all over the world, until, since the 70s of the last century, they have been gradually rediscovered. The reason behind this attempt to erase or revise a page in history has its foundation in racism. 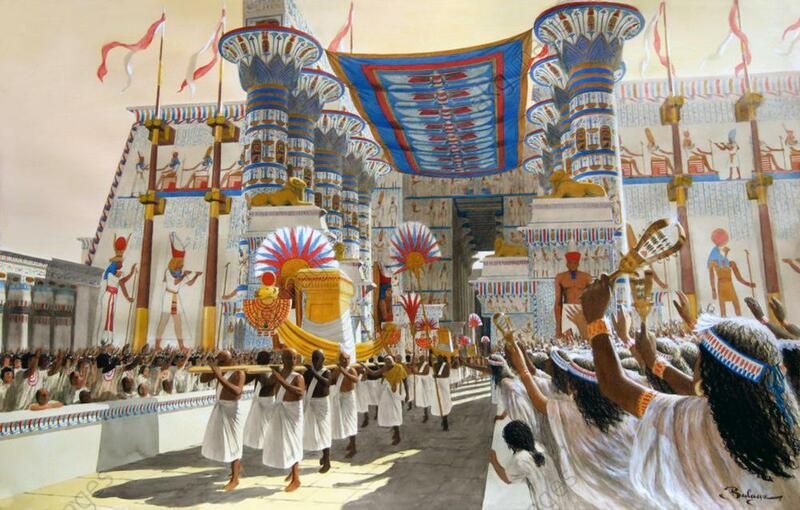 It was simply inconceivable that blacks had built pyramids and monuments that had nothing to envy from the Egyptians. Fortunately today, there seems to be a strong desire to remove these prejudices from archeology. Let's remember, archeology is a real science that has no space for opinions, let alone prejudices. "History", however, tells a story that can be true, false, accurate, distorted ... basically telling "History" without accompanying it with the finds and sources is to be considered pure propaganda! In this case a partial vision is given in schools, too focused on Europeans and Italy, magnifying some cultures to the detriment of others. Kushites, today still, remain an enigmatic people, given that their writing, based on Egyptian hieroglyphs, is not yet 100% comprehensible. Part of the reason why little of this people is [known] is attributed to one of our compatriots, Giuseppe Ferlini, a treasure hunter who, between 1834 and 1836, destroyed as many as 40 pyramids, robbing them of all the gold they contained. Of course, other ancient historical events have also contributed to the degradation and destruction of important historical artifacts. The most devastating event was certainly the Aksumite conquest. 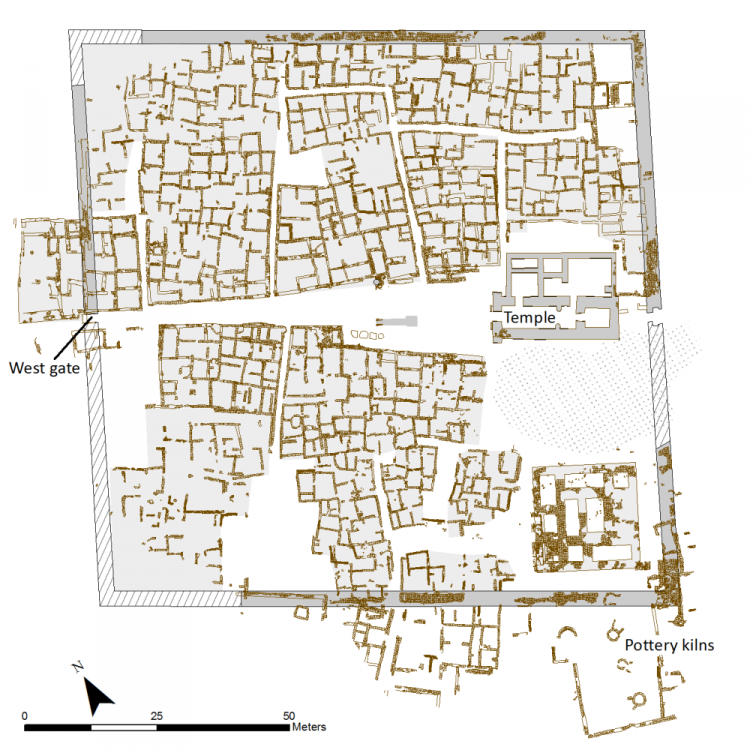 The most important cities of the kingdom of Kush were Kerma, Napata and Meroë. Each of these cities has been the capital of the Kingdom of Kush for a period. 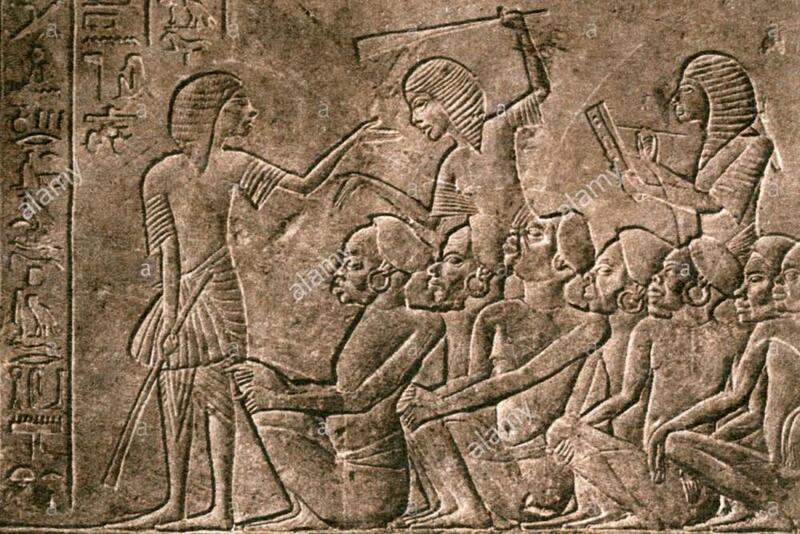 For example, during the Egyptian rule, the most important Egyptian Pharaonic ceremonies were held at Jebel Barkal, near Napata. Napata, on the other hand, was a center of power that became established during the collapse of the Egyptian New Kingdom. 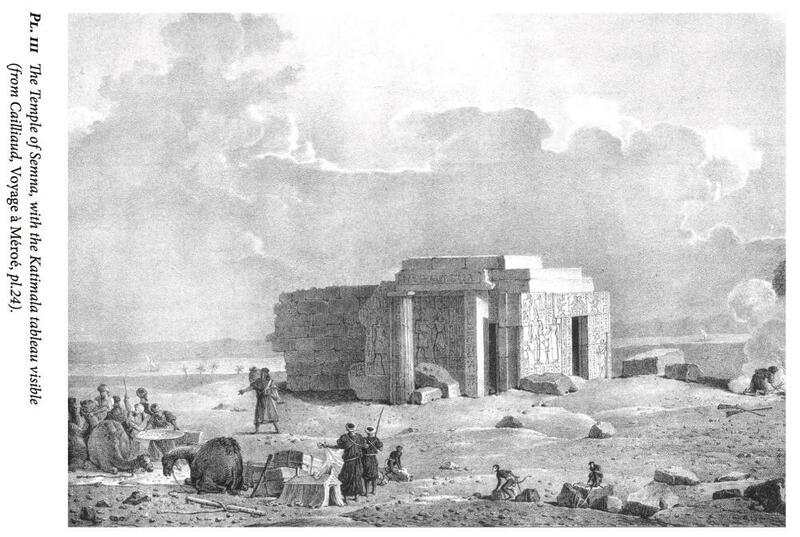 In 591 BC the Egyptians invaded Napata, which lost importance compared to Meroë. 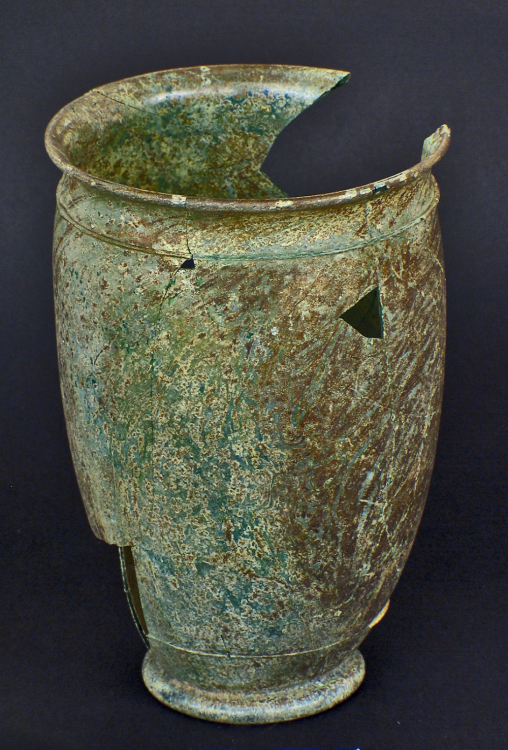 Given the cultural contact between Egyptians and Kushites, Kushite artifacts are often exhibited in Egyptian exhibitions and museums, although they were two distinct realms. It would be like confusing Greeks and Romans! 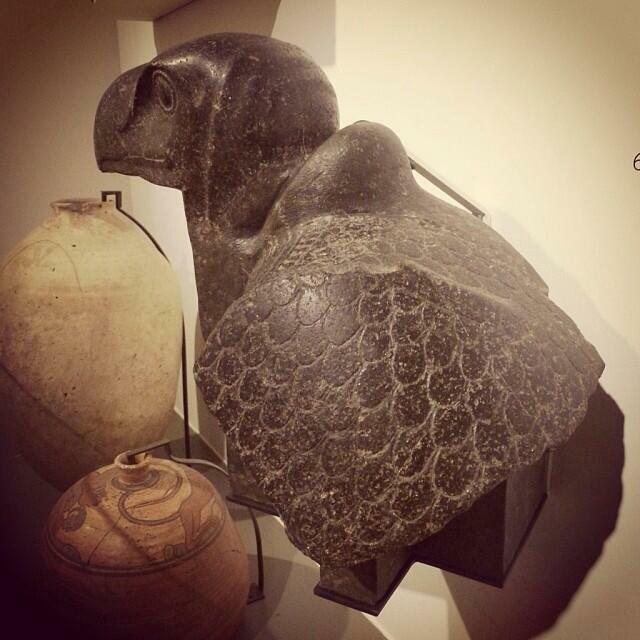 Stone vulture from the temple of Taharqa at Kawa. 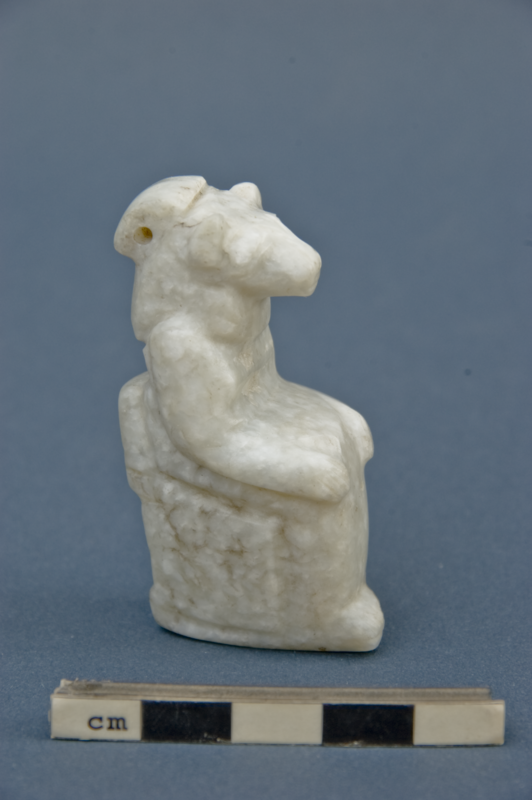 Taharqa actually mentions bringing over Egyptian artisans to work on the temple. 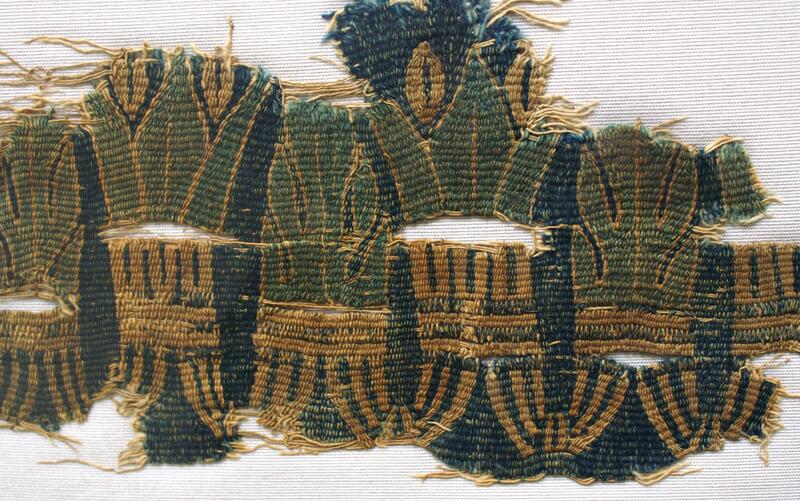 His temples at Kawa and Sanam subsequently became models for later Kushite temples as well, using local artisans. 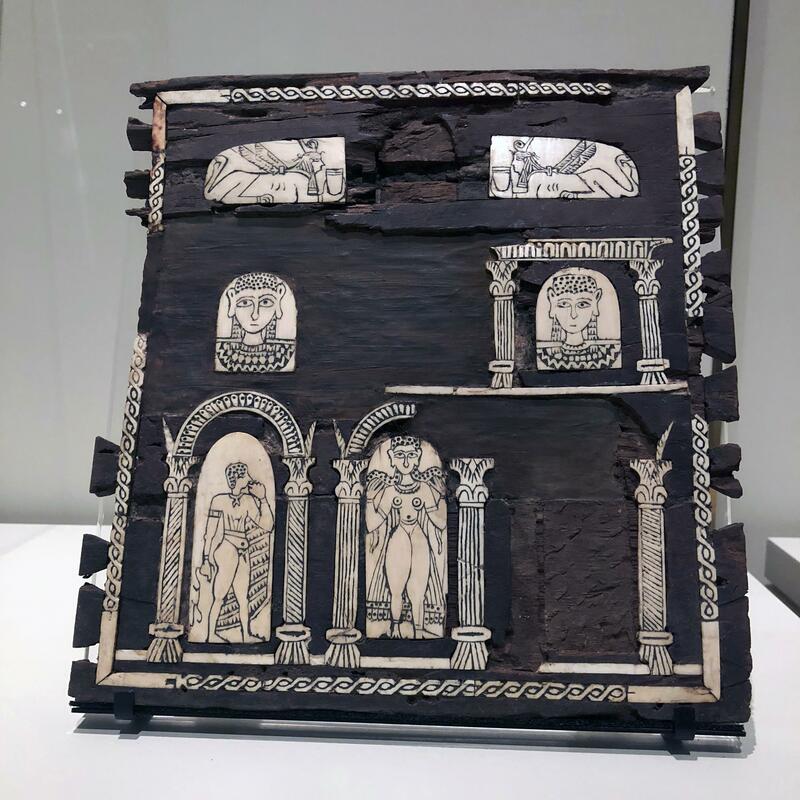 Meroitic wooden box with inlaid ivory panels, from the site of Gebel Adda, near the Sudanese-Egyptian border. 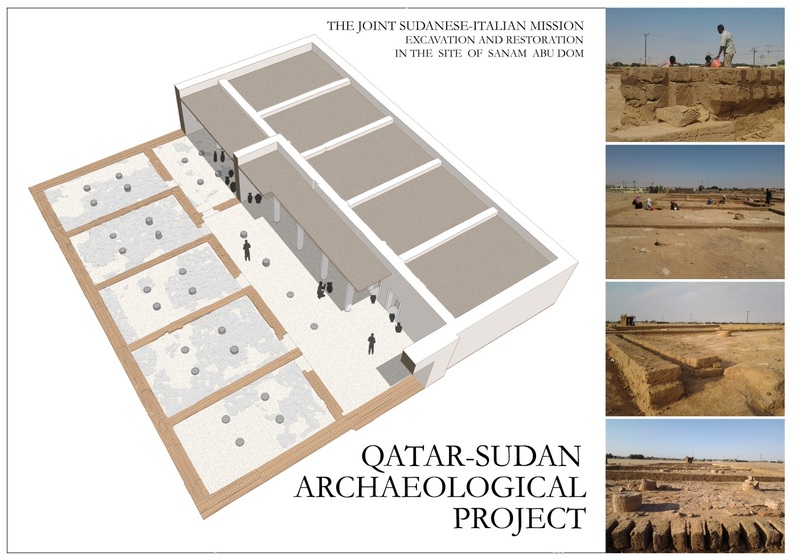 This is an incredibly interesting piece because it depicts Corinthian columns and arches, reminiscent of the Naqa kiosk, and a clear example of Roman influence, which would become much more pronounced in the post-Meroitic and Makurian Christian periods of Sudan, in the form of Byzantine influences. The faces also have very "non-African features", which isn't abnormal for such a northern site (a main trading post with Roman Egypt), but still note-worthy. Thank you very much for your quote here on this forum. Out of curiosity, how did you find my site? Do you think I should include more details in my article? Thanks again. @Elinvention, Ha, welcome to the forum! I was just casually googling recent mentions of 0AD and Kush . The site looks good, but I'd have to read the rest of the articles to give you any more in-depth feedback. I thought the article was a nice introduction/impression/reaction. Perhaps mention a little bit about the game itself (historical Real Time Strategy, free, open-source, cross-platform). And when writing about a game, or some obscure piece of history, an image or two always does wonders to wet the appetite of the reader. Classical Sudanese musicians paying homage to their ancient heritage. Many beautiful shots, and the music is quite enjoyable as well. The first one begins with some funny historical dress/reenactment of Kushite royals passing their musical traditions to the modern generation, to the backdrop of the pyramids at Meroë (Begrawiya necropolis). It's not Hollywood level, but it's a commendable attempt nonetheless (pretty sure pharaohs' crown was orientated to the front, not the side, but oh well). The song starts getting real funky around min 2:30 .
min. 4:00 An absolutely fantastic depiction of the mechanical workings of the saqiya (Sakia), an ancient waterwheel introduced during the Ptolemaic period, and paramount to farming on elevated banks. min. 7:56 Horsies What I love most about the video is the epic mass cavalry charge. I've never seen actual video of so many traditional Sudanese riders. They're wearing the Mahdist Jibba, a Sudanese cotton tunic with colored wool patches, dating to the Mahdist war of the late 19th century. The second video begins with some stunning shots of Jebel Barkal and the ruins of the Napatan temple complex. 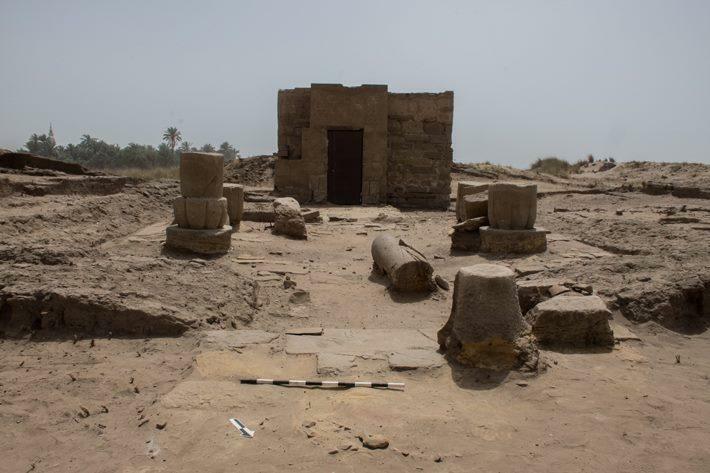 Then the throne hall of Old Dongola (Christian Makurian period), and Islamic period conical sufi tombs, followed by the New Kingdom Egyptian Temple of Soleb (still in use during the Napatan period). The rest of the video features many beautiful shots of the Western Deffufa, the central temple of ancient Kerma (capital of the first Kingdom of Kush). 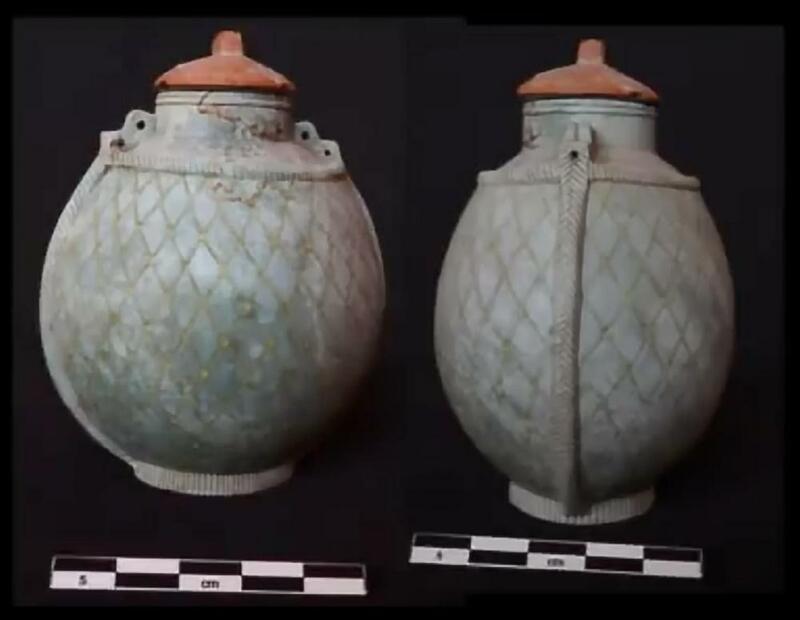 Other sites featured include the Sanganeb lighthouse, built by the British, as well as the Port of Suakin, an ancient trading port on the Red Sea, situated on a small round island. A bit simplified and romanticized, but an entertaining 4 min narration of the Kushite Roman war nonetheless. Cute animations. I wish some of the bigger Youtube History stars like Kings and Generals or Epimetheus would make a few videos on the various chapters in Kushite history... Apparently Will Packer is even going to produce a movie about Amanirenas for Universal (although there are very little details available). 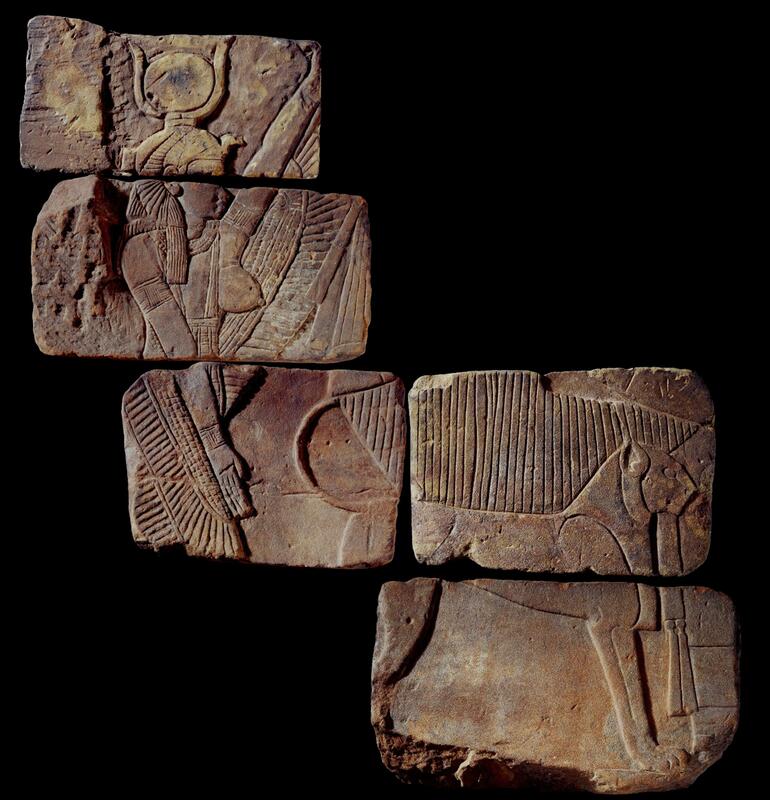 I was browsing through the Meroitic period artefacts in the archives of the British Museum, and found myself just staring at a few individual relief blocks. I suddenly realized that they were part of the same relief. 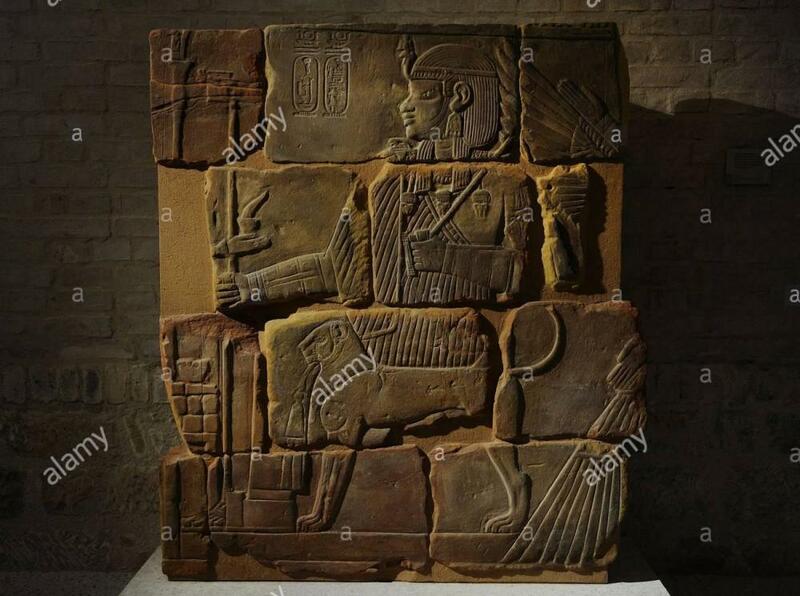 A little bit more research revealed that these blocks were indeed all from the rear wall of the chapel of pyramid N17 in Meroë. 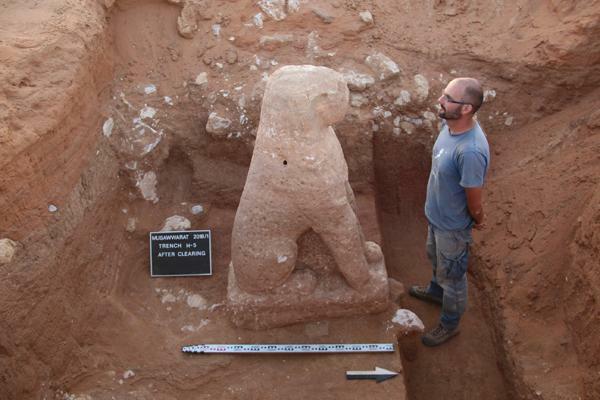 This pyramid belonged to King Amanitenmemide, 1st century AD (or BC). Turns out that the chapel was removed from Sudan in 1905, with one wall being shipped to Berlin, and the other wall being shipped to London. 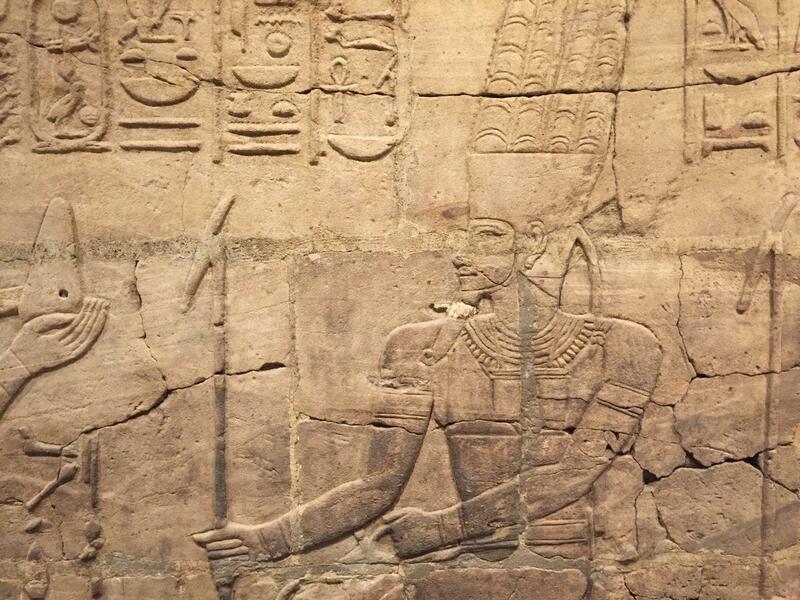 The one that was sent to Berlin was reconstructed and is currently on display in the Neues Museum. The one that was sent to London (only 6 blocks survived) is not reconstructed. In fact it is not even on display... The archives of the British Museum house 1703 Meroitic and Napatan period artefacts, the vast majority of them not photographed (or at least their photographs haven't been published, or publicly catalogued), nor are they on display. I dowloaded the images of the blocks in the London archives, cut them out, and put them back together again. A beautiful, voluptuous African winged goddess appears: Isis! 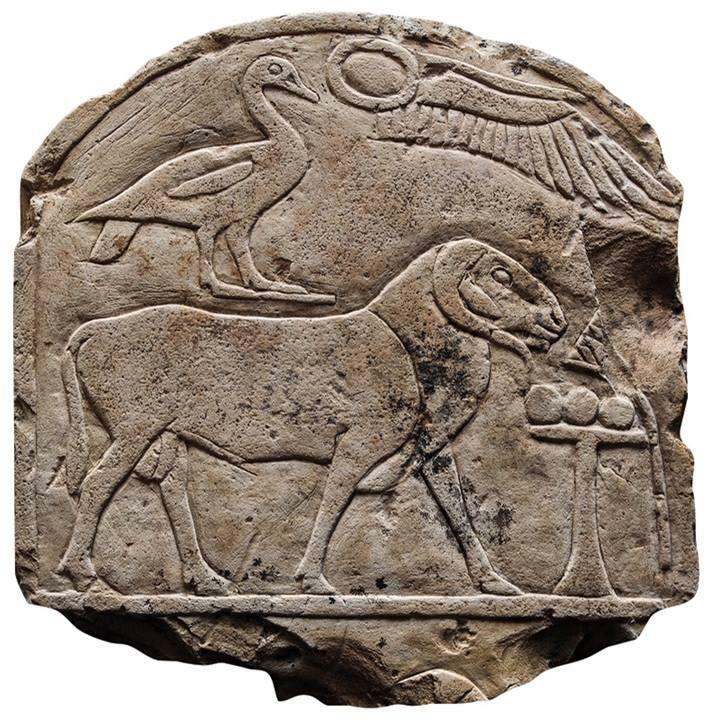 A winged goddess, Isis, wearing the vulture crown and a sun disk with cow horns, backing the Kushite Lion Throne of the seated king, Amanitenmemide. The goddess is depicted with exposed bosom, a symbol of fertility. 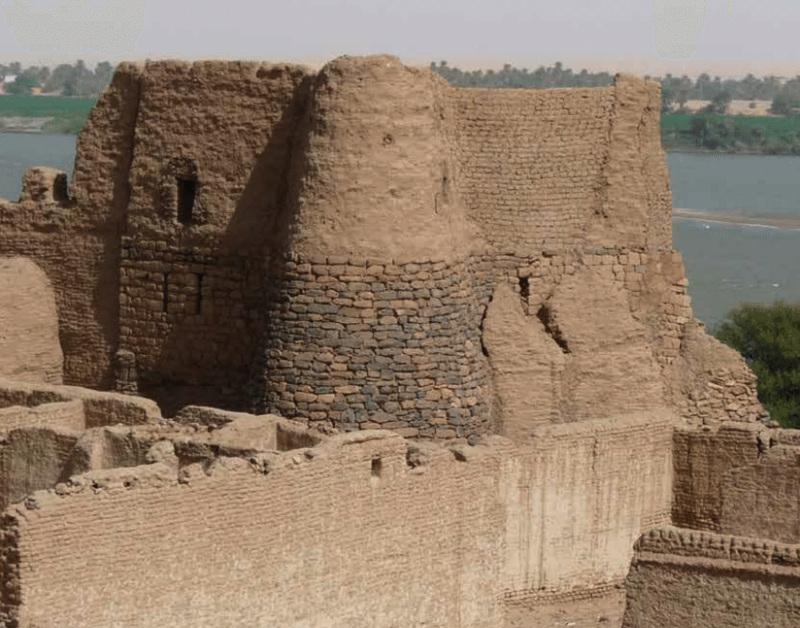 Detailed overview of the cultural and political interchange around ancient Nubia, and recent archaeological discoveries. 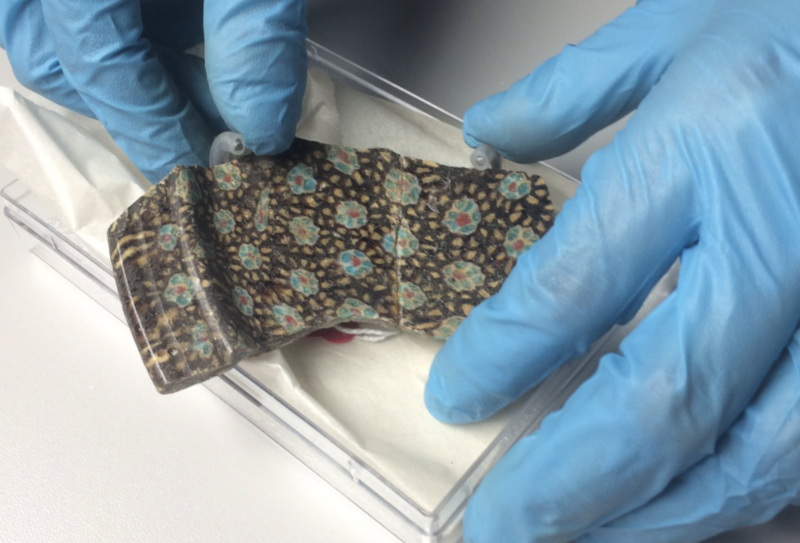 Presented by Stuart Tyson Smith, UC Santa Barbara at the Oriental Institute. @Samulis, very excellent! Thank you! 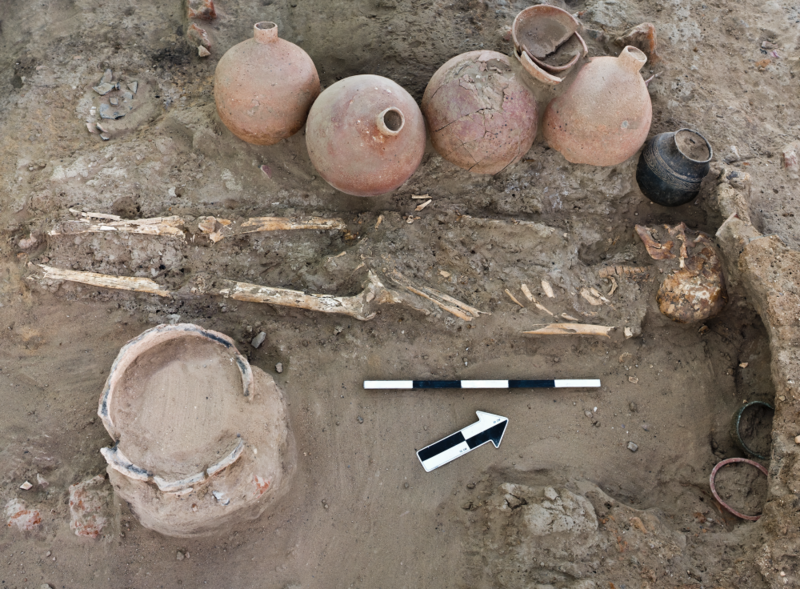 The subject of cultural entanglement in Lower Nubia is a really interesting subject that's important to understanding the absorption of Kushite people, as well as aspects of their culture into Egypt as well as the Egyptian character of the later Kushite periods. That guy is more humble than he seems. His work is quite impressive! I referenced a bunch of his stuff here and there in this thread before... Really good stuff... I was unaware that the dates for an iron industry at Meroë had been pushed back so early (perhaps even 25th Dynasty), which is crazy and further emphasized the potential importance of Kush in understanding the spread of iron working cultures in Sub-Saharan Africa. 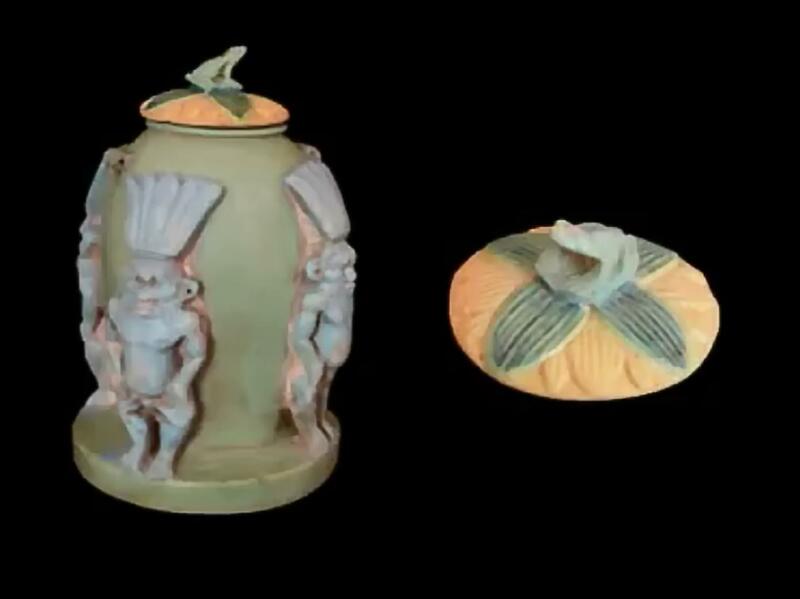 I've never seen anything like this piece before! By the way, he doesn't really mention it clearly, but his findings at Tombos are mirrored in other sites like Kawa and Sedeinga, which all record influxes of Egyptians during the New Kingdom, who intermarried with Kushites, and this resulting Egyptian-Kushite population of Lower Nubia maintained a stable culture and population throughout the so-called Nubian Dark Ages, after which they were absorbed by the Napatan Kings, who simply maintained the local traditions. There's a crazy level of cultural continuity in Lower Nubia. It's almost like the New Kingdom never really ended there. But they were also really adaptive and unafraid to mix things up, in a sometimes almost comical way. 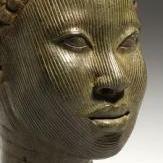 Queen Shanakdakheto is often cited as the first ruling queen of Kush. 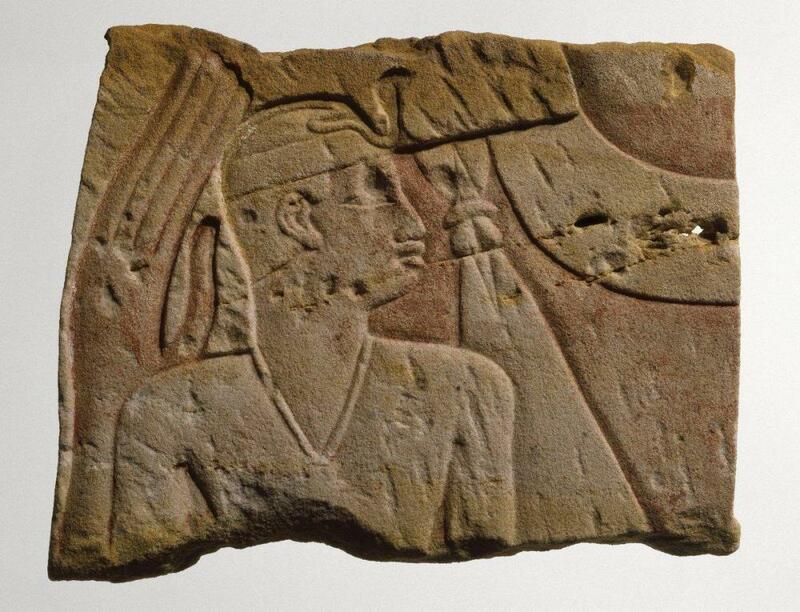 There are no ruling queens known from the Napatan period, and Shanakdakheto was indeed the first attested ruling queen of the Meroitic period. But in the long history of Kush, there was one before her, not often cited. 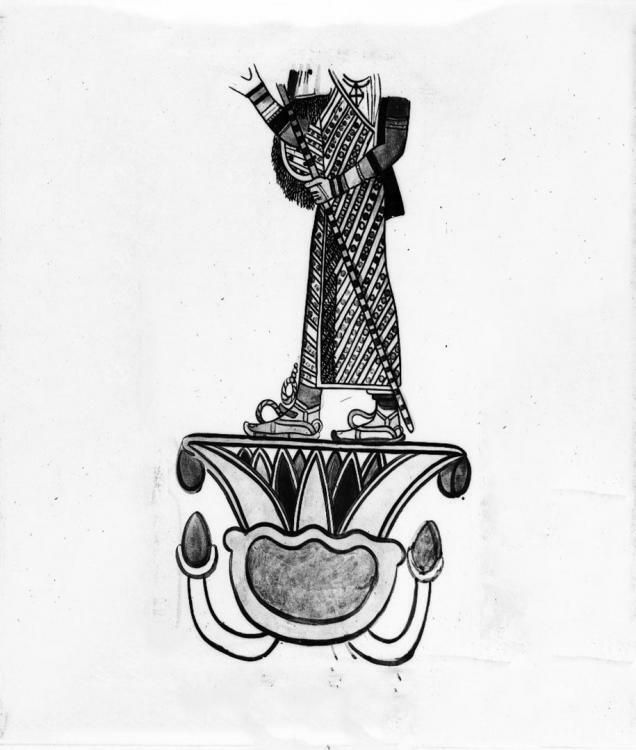 Queen Katimala (sometimes Karimala), a Lower Nubian ruler, post-dates the collapse of the New Kingdom, but predates the establishment of the Napatan Dynasty. 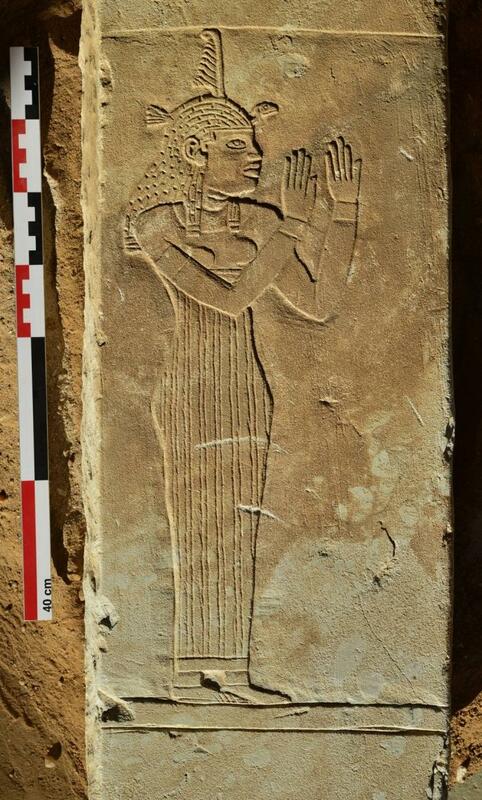 She is known from a single long inscription on the temple of Semna in Lower Nubia, on a repurposed wall previously used for other inscriptions. 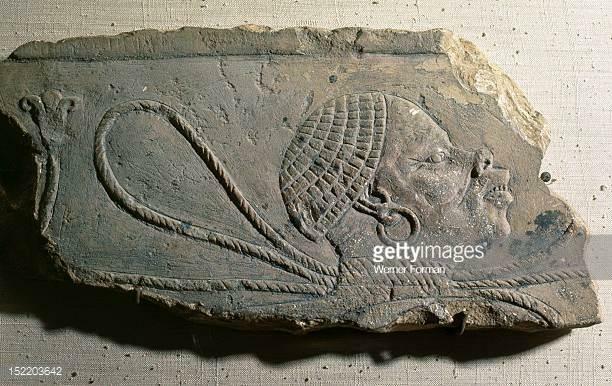 The Queen dates from a period known as the Nubian Dark Ages, a period mired in obscurity because of the lack of royal inscriptions and monumental architecture in this period. 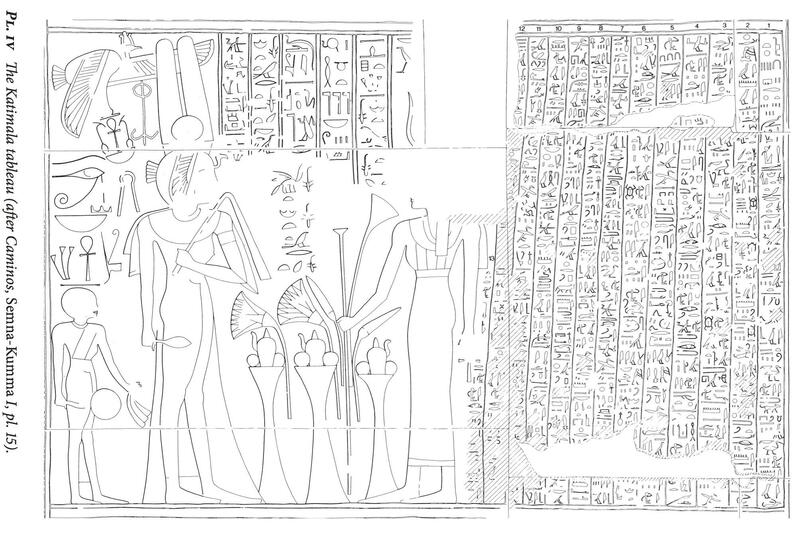 She doesn't seem to be Egyptian, her name having a close parallel in the Meroitic "Kdi-mel(ye)", but her relation to the later Napatan rulers is unclear as well. So is the extent of her rule, although we know that she ruled over at least 30 chiefs. From the text, she seems to be an embattled queen, referring to the Egyptian rulers to her north at Avaris as "Asiatics" and referring to the Kushite rulers to her south as "Nehesi". Her kingdom was facing recurring troubles described as chieftains who robbed gold and silver (perhaps desert nomads or rebellious chiefs). The King who ruled before her, and may have been her husband, was defeated in some conflict, and became unfit as a ruler ("stripped of his strength"), upon which Katimala assumed the throne and led a succesfull campaign against an enemy known as Makaresh. The inscription is basically a brutal rebuke of the (cowardly) rulers that preceded her, and a vindication of her own rule, based on her effectiveness in dealing with the threat facing her state, and of course, by the power of the almighty Amun. "Aggression is bravery, retreat is wretchedness!" Nice work just played the Kushites for the first time and they work. Units are comprehensive. Art is great. Also with a few tweaks they cover the rest of Africa. I've been a way working on other projects and my art skills. Life interrupts fun a lot. @Sundiata what you think this ? It does look like all the worlds historical RTS & TBS games are heading in the same direction. We are running low on untouched civilisations, empires and cultures. The omniglot page on Meroïtic is interesting. 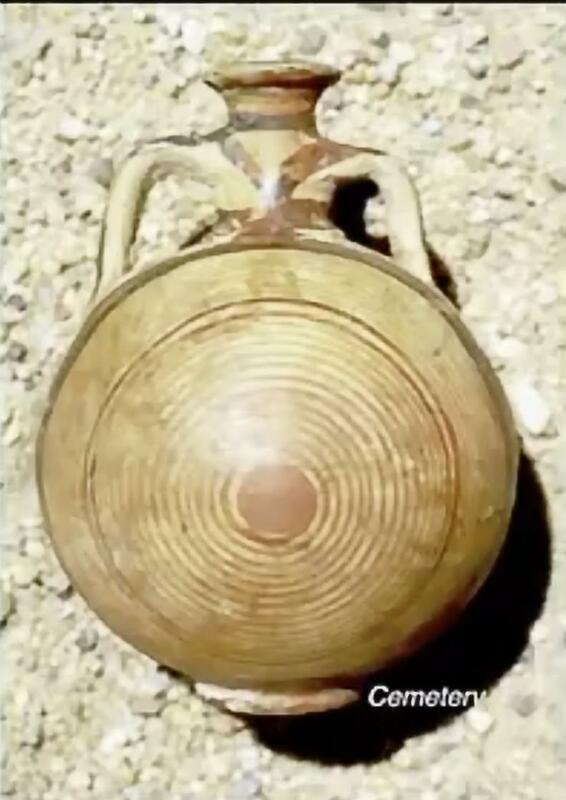 Dr Clyde Winters is there and says its spoken form is derived from a buddist language, Kharosthi, or Kharoṣṭhī, from Pakistan/India imported into Egypt and Kush with trade goods. The video at the bottom. If you google his name the first thing that comes up is an attack on him from a group that attacks some of my friends. So he might be trouble or he might be on target. He reads and translates all the available text on the video and it makes sense. Clyde Winters is a lier and a fraud. Nothing he writes is peer reviewed. 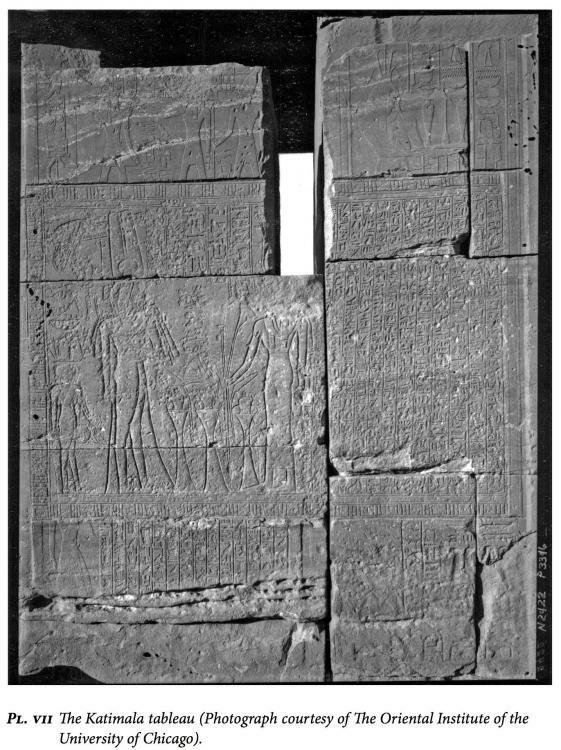 If you want to learn about Meroitic, I suggest looking up the works of Dr. Claude Rilly, "Doctor in Egyptology and linguistics, and director of the French archaeological mission of Sedeinga (SEDAU), Co-editor of the Meroitic Newsletters, Member of the board of the International Society for Nubian Studies and of the Sudan Archaeological Research Society, he is also research fellow at the CNRS"
"Dr. Rilly is regarded as one of the world’s top specialists in Meroitic language and writing, about which he wrote his PhD thesis at the EPHE. (a higher education institution of training and research in humanities and social sciences). His research fields concern African linguistics, historical linguistics, Meroitic studies and North Eastern Sudanic languages in a comparative approach."